Late last summer, I rcvd an email from a Grandmother, whose granddaughter had passed away quite young from a rare cancer. She asked me if I could make a quilt from Cheli's pjs, as she spent a good deal of her little life in them... I was very touched by the project, as she was wanting it to give to her daughter as memory quilt. I was overwhelmed by the idea of making such a special quilt, and was nervous to take it on, but after meeting her, and her stories she shared of Cheli, I couldn't' say no. 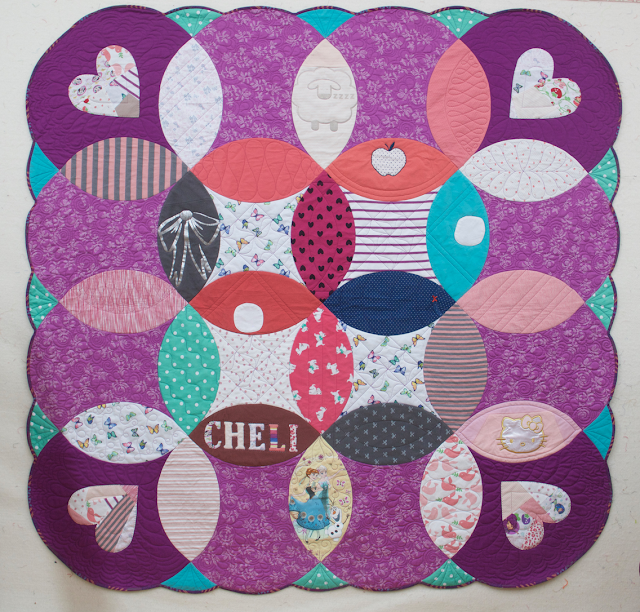 Cheli's favorite color was purple, so Everything within the quilt that is Purple are the fabrics I added, everything else is made up of the Pajama clothing that I was given to make this quilt. 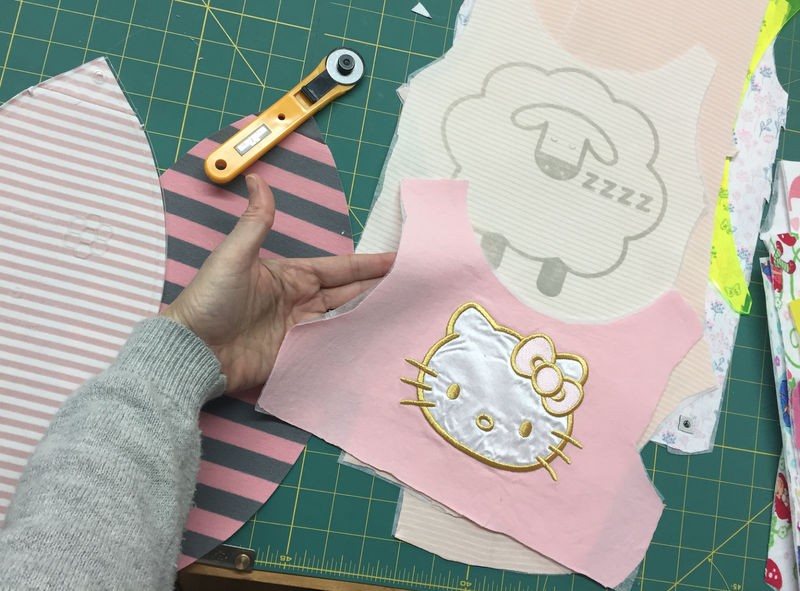 To make it, I had to deconstruct the clothing into useable pieces. 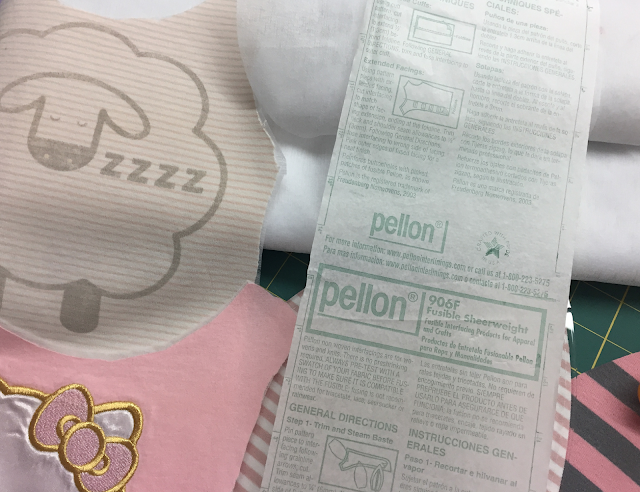 I used Pellon 906F toFuse to the fabrics, so that I could sew them without them stretching. I wanted to keep the fabrics as full as possible, capturing the elements of the PJ's, to best capture her sweet spirit. I added her name by using reverse raw edge appliqué, and added some hand big stick quilting around the letters, and over all, I think it turned into a very sweet quilt. It will be given Cheli's mother at the one year anniversary of her death. This type of project is not for everyone. Some people can not understand how or why you'd want to hold on to those memories. But for me, and plenty of others, ( I do get asked to make many quilts like this) Memory quilts are a great way to hang on to something tangible to remember what a blessed soul they are. Never met Cheli, But I felt drawn to her through he fabrics, and could celebrate her life with a smile. This project really touched my heart... I now am making a second quilt for the grandmother. Making these quilts are very healing... and I am honored that they asked me to make this quilt for them.